New AirPods Have Been Released and I AM HAPPY!!! If you haven’t read one of the MANY times I have written about this over the last few months, I managed to lose my original AirPods last August. I used them to listen to music every night as I went to sleep so I could charge my iPhone overnight. They would inevitably fall out before morning, but I got in the habit of tracking them down as soon as I woke up. Well, until one night when I stayed in a hotel. I was off routine and didn’t get them first thing that morning. I didn’t think about it after returning from breakfast. Then, even when I did my pre-checkout sweep, the sheets were white (mine at home are patterned) and the AirPods blended in perfectly when I checked the room. When I went to get them out of the case that night….yeah. Gone. That really sucked. Since then, the rumors that the next gen update would be coming soon have been perfectly spaced out and were enough to keep me from buying replacements these last seven months. First they were supposed to come with the new iPhones last Summer. Then it was with the iPad Pros in the Fall. Then it was closer to Christmas. None of that happened. Then it was “early in 2019.” Well, I had waited four months at that point. I decided to stick it out, and was finally rewarded today. Based on some rumors yesterday, I was expecting a new iPod Touch to drop today. Then I got a text from a friend while driving to work- that the new AirPods had hit Apple’s online store. As soon as I got to the parking garage where I was headed for the day, I got my credit card out and got my preorder in. I managed to make the first wave, so I am slated to get mine next week. As for new features, these new AirPods are what everyone was expecting. Hey Siri now works with voice activation, which is nice. Obviously there is the new wireless charging case, as well. One curve ball here is that Apple is actually charging more for the wireless case. I went ahead and got one, and it set me back $199, rather than the typical $159. 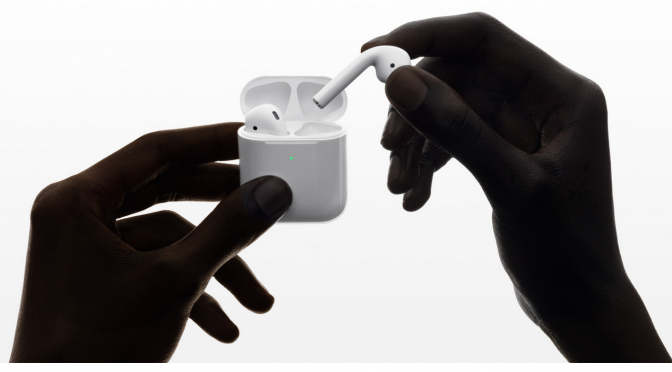 However, if you don’t need wireless charging, you can get the new AirPods with the original case and pay $159. If you want to get a wireless case later, or pick one up for your original AirPods, that will set you back $79. One new feature that we learned about today is the AirPods’ new H1 chip. This improved Apple system on a chip will deliver better battery life with an extra hour of talk time, faster pairing and device switching, and lower latency. Considering how well Apple has done iterating its Apple Watch S series chips each successive year, I have no doubt that these numbers are real. It was the original H1 that set the original AirPods apart from the rest of the wireless bud market in the first place. They usually nail the second run at these specialized SOCs. I haven’t had a pair of AirPods in seven moths, so I had good reason to jump on the preorder today. If you never took the plunge but were intrigued with the originals over the last two years, now is a great time to go ahead and order some new AirPods. If you have owned an original set of AirPods for a year and half or more and your battery life is starting to slip past a certain point, then you may be ready to upgrade, as well. For those of you who own an original pair of AirPods that aren’t that old and still hold a good charge, there probably isn’t enough in this 2nd gen version to justify upgrading early. 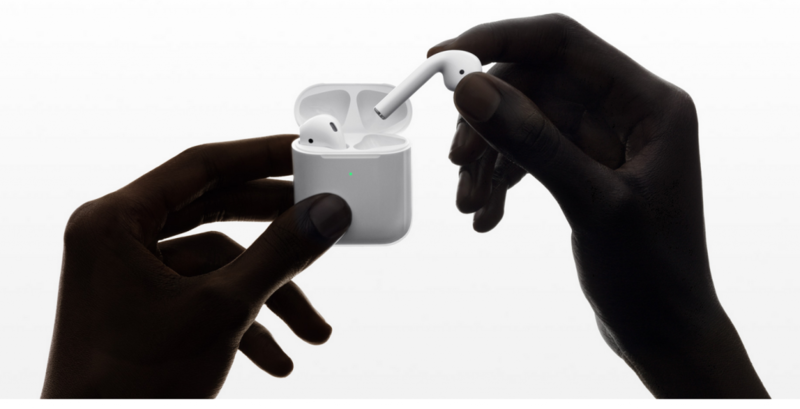 The originals were loved for plenty of goof reasons, so if you are still happy, save your money for next year, when a full on AirPods redesign will likely be coming. As with the new iPads, I will have the new AirPods early on and will start reviewing them immediately.